With a lifespan of about 25 years, horses are known for being the embodiment of strength, beauty and freedom. These graceful animals are most commonly used for horse races and entertainment, but they can also be pets as people are very fond of them. No matter what they are used for, it is very important that people take good care of them. This means that they should know how to feed a horse, where to keep it and how to transport it safely to racing events and exhibitions. The best way to transport a horse is by hiring a horsebox. Horseboxes are widely used in the whole of Britain due to the fact that there are a lot of companies in the UK who offer a huge selection of horseboxes for hire. Buying a horsebox is not always cost efficient if you do not need to transport your horse on a regular basis. Prices can be as high as £60,000 (not including maintenance), whereas hiring a horsebox can be as cheap as £100 a day, or even less. There are many different reasons why people hire horseboxes, and as has already been mentioned, the main reason is because it is more cost efficient than buying one. 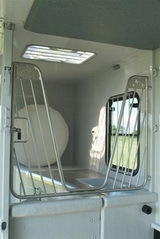 It is more sensible to hire a horsebox than to buy one if people do not transport their horses on a day-to-day basis. Another thing that needs to be mentioned is the advantage of using a horsebox to a horse trailer, in that a horsebox is far safer for both the horse owner and the horse. As it can be seen, hiring a horsebox is a sensible option for anyone who needs to transport their horse one or two times a year. Sussex Horsebox Self Drive – this company is based in Sussex, and the company is owned by people who are horse owners themselves. Therefore it is a sure thing that the service provided will be of the highest quality possible. When it comes to prices, a 2-stall horsebox costs £95 a day or £160 for the whole weekend. County Horsebox Hire – a horsebox hire company based in Surrey, they offer their services all over the UK, including Sussex. This company pride themselves on offering a friendly service, clean and reliable vehicles and flexibility. For an example of prices, a 2-stall horsebox will cost you £99 a day and £260 for the weekend. It is important to understand that these prices include insurance and a full tank on pick up, as well as a fully equipped vehicle. There may be some additional costs when it comes to total miles covered and any accidents occurring. Also, a weekend hire means that the vehicle is picked up on Friday afternoon and returned on Monday morning, usually between 9 and 11 am.